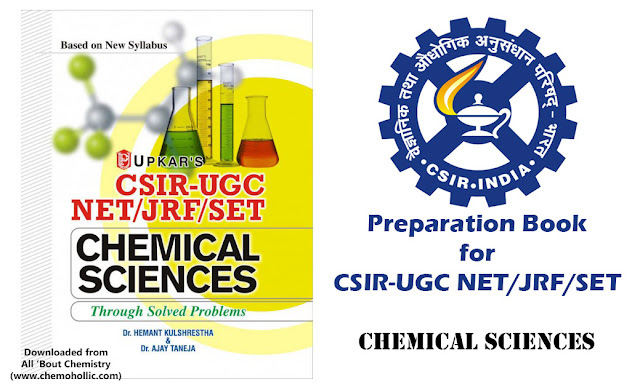 CSIR NET-(National Eligibility Test) Exam is one of the most important exams if you want to pursue your career in Research Field or if you want to go in a Teaching career. 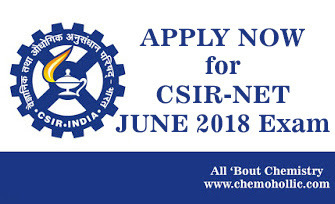 It is very necessary to Qualify CSIR-NET Exam in order to take admission in any of the reputed institutes of India or Abroad. The Mode of applying for exam has been changed a bit from last times. This time you don't have to print challan and send hard-copy of the submitted file. All you have to do this time is just fill the form and pay online. This hassle free mode of payment is made with regards of Honorable Supreme Court, who has advised CSIR to make the mode of payment and application Online. Now there are few things which you should know in order to successfully fill your form. (1) Scanned photograph (JPEG/JPG format with dimension ranging from 130x160 to 260x360. File size should be less than 150KB. (2) Scanned Signature (JPEG/JPG format with dimension ranging from 90x25 to 225x100. File size should be less than 150KB. (3) Qualifying Degree Certificate or last semester marksheet or testimonials clearly mentioning the semester that you are pursuing or passed with clear indication of % of mark scored, to confirm your eligibility to take the exam. The candidates are to note that the uploaded document should clearly indicate the % of mark scored. (PDF format; File size should be less than 400KB. (4) Category certificate that you belong to SC/ST/PwD/OBC (non-creamy layer) (if applicable) (PDF format; File size should be less than 400KB. (5) PwD Certificate (if applicable) (PDF format; File size should be less than 400KB. (6) Candidates applying under Result Awaited (RA) category should upload the Attestation Form duly attested by the HoD of the University/College/Institute (if applicable) (PDF format; File size should be less than 400KB. As candidates are not required to send hard copies of application alongwith requisite certificates/documents for this Exam, candidates should, therefore, make sure that they upload all the relevant certificates/documents so as to avoid disqualification for want of the requisite certificates/documents. (i) Signature in CAPITAL LETTERS will NOT be accepted. (ii)Should have a valid personal email ID, which should be kept active till the completion of the Exam process. Under no circumstances, a candidate should share with/mention e-mail ID to / of any other person. In case a candidate does not have a valid personal e-mail ID, he/she should create his/her new e-mail ID before applying on-line and must maintain that email account. (2) Candidates must write their name, father/mother's name as written in their Matriculation Certificate (X Class Board) and should ensure that the same are matching with their educational qualification certificates and caste certificate except for married females. Successful married female candidates are required to send scanned copy of their marriage certificates alongwith any other documents as proof as may be required by CSIR-HRDG, through e-mail to : mailnetquery@gmail.com. All Caste/PwD Certificates shall be strictly as per Govt. of India instructions. The validity of OBC certificates (Non-creamy layer) shall be governed as per Govt. of India instructions. (3) After filling the online application, candidates should preview their entire application form and make changes if required before final submission of online application. (4) After successful submission of ONLINE Application, an Application Number will be auto-generated. The candidates are advised to preserve the Application Number for future reference and for downloading his/her e-Admit Card. The candidate should also keep a print (hardcopy) of the duly filled-in application form for future use. The candidate is also advised to note down his/her e-mail ID and Password for future reference. (5)A candidate should submit only one application. If a candidate submits more than one application, none of the applications of such candidate will be entertained. (6) Examination fee paid will neither be adjusted for any subsequent examination nor refunded under any circumstances. Click on the below button to Apply Now.